We provide FAST and RELIABLE apostille services in Washington DC including U.S. Department of State federal apostilles. 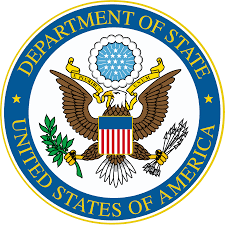 What documents are eligible for federal apostilles issued by the U.S. Department of State? The answer is: documents issued by federal agencies, e.g. FBI background checks, IRS Residency Certifications (Forms 6166), documents issued by the Food and Drug Administration, USDA, DOJ, SSA, FAA, USPTO, etc. A federal apostille certificate is a seal that will make these documents valid outside the United States. How to order a federal apostille? Email a copy for a free evaluation. We will advise if your document qualifies for a federal apostille. Then, send the original to us, and we will take care of the apostille legalization. What do federal apostilles look like? What is the difference between a federal apostille and an apostille issued by the DC Secretary of State? 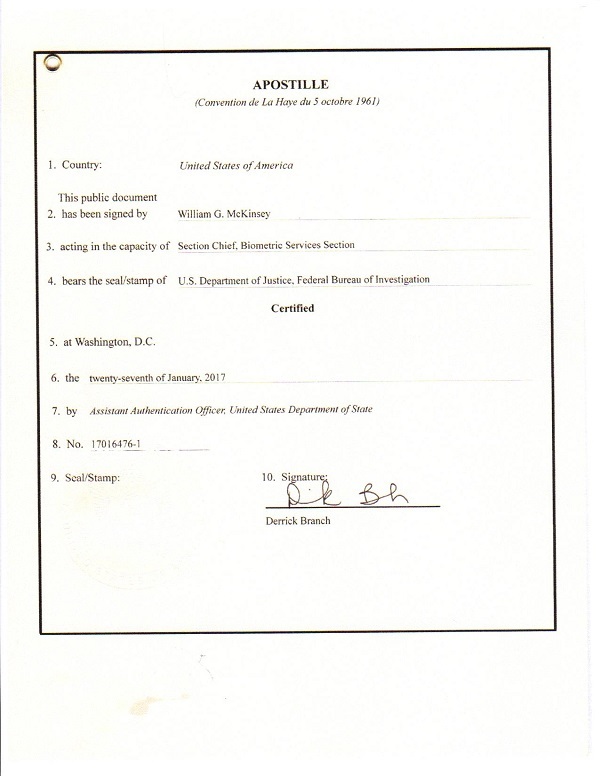 Does a federal apostille confirm that a document is authentic? Can a federal apostille be rejected by a foreign receiving agency because it is not ribboned to the document? Some countries insist that the document and an apostille are ribboned together. How to get an apostille for an FBI background check? How to get an apostille for form 6166, U.S. residency certification? If your document is intended for a foreign country, in most cases, it cannot be presented as is. It needs to bear certain seals that will make it legal and valid outside the United States. If the country of intended use is Hague country (a country that joined the Hague Apostille Convention), then the document has to be legalized by an Hage Apostille. Apostilles are sometimes called "international notary certificates". 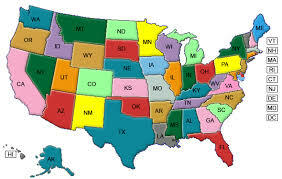 A federal apostille, as apostilles in all states of the United States of America, is a separate page attached to the document. It is attached to the document by a grommet in the upper left corner. 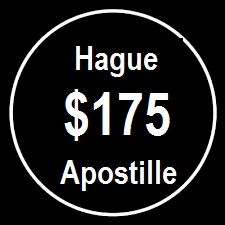 As required by the Hague Apostille convention, each apostille has the title "Apostille", the reference to the Hague Convention, and the following ten items: (1) country where the apostille is being issued ("United States of America"); (2) name of the official (whose signature is being certified by an apostille); (3) the position or capacity of this official (4) name of the seal on the attached document, (5) name of the city where the apostille is being issued ("Washington DC"); (6) the date when the apostille is being issued; (7) position of the official person who signed the apostille ("Assistant Authentication Officer"; (8) consecutive number of the apostille"; (9) the seal of the apostille issuing agency (the Seal of the U.S. State Department); (10) signature. The difference is in the document that needs to be apostilled. In case of federal documents (documents issued by federal agencies, e.g. 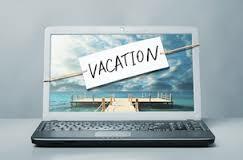 FBI, IRS, USDA, DOJ, SSA, FAA, USPTO, etc., federal apostilles are required. If your documents originate from DC (for example a DC birth certificate, or a power of attorney notarized by a DC notary, a copy of a diploma notarized by a DC notary, articles of incorporation certified by DC DC Secretary of State), then it will require a DC apostille. An apostille confirms only the authenticity of the signature of the person on the attached document and the authenticity of the seal or stamp, if any, on the attached document. Apostilles do not in any way confirm the content of the document. According to the provision of the Apostille Convention, apostille issuing authorities cann attach apostilles to the document in any way they see fit. 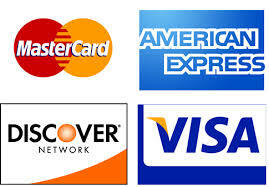 Different countries have different procedures and use different ways of attaching apostilles. The DC Secretary of State uses staples. According to the Apostille Convention "Failure to affix an apostille to the public document in a particular manner is not a basis for refusing an apostille."